Piled snow and buried sidewalks are a part of every day life in Edmonton during winter months. Just because something is common doesn’t mean that it should be. Heavy snow falls and ice are more than an inconvenience to property owners. 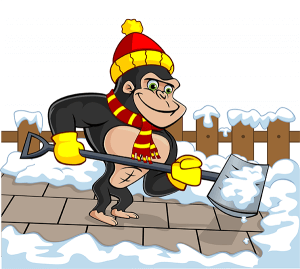 The winter maintenance experts at Gorilla Property Services are able to keep commercial spaces as well as unattached and multi-unit homes running smoothly with an Edmonton snow clearing and salting. Proper snow removal in Edmonton is not always as cut and dry as it seems. Even the most basic practices of salting can be useless without a keen eye and the right technique. Choosing a professional service for your Edmonton snow clearing and salting means expert results carried out safely. 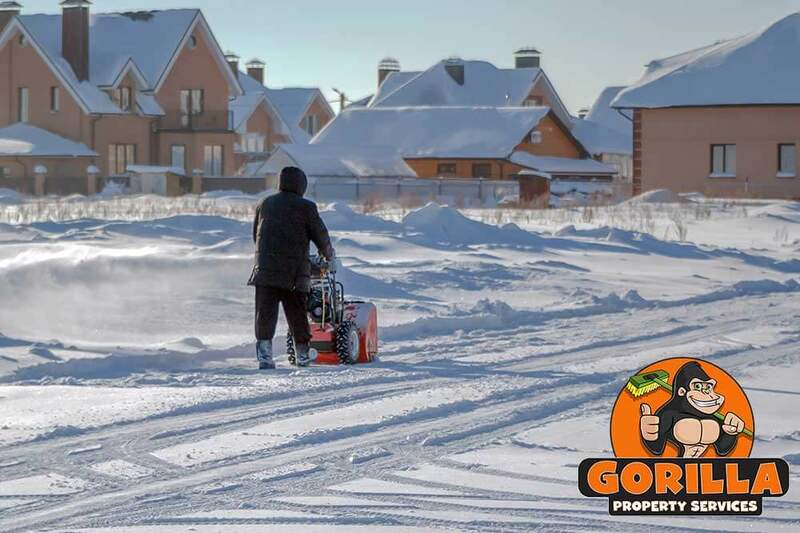 When you choose Gorilla Property Services for your snow removal needs, your property is in for prompt and professional service. Our Gorillas set themselves apart from the competition through well-rounded and full-service geared toward treating the needs of your individual property. Each property in the Edmonton area should be treated according to its own needs. After years of experience in the field, our Gorillas can identify problem areas for snow collection or ice formations. No matter your property type, our Gorillas have the tools to treat it. Shovels might be enough to treat small areas, but larger areas require the big guns. Snowblowers and ploughs are the tools of choice to treat multi-unit properties and larger areas, such as parking lots. In addition to personal safety, leaving snow and ice to pile up can pose threats to the overall condition of your property. Everyone loves it when temperatures take an upswing, but if snow is allowed to collect against the outer edges of your property, rising temperatures mean a lot of unwanted melt. In outer areas that sit at an angle, unwanted water can sneak into vulnerable areas, leading to water damage, mould and even flooding. With cost-effective solutions to your winter-related setbacks, choosing professional services save time, stress and costs in the long run. Costly repairs or replacements can be avoided with our knowledgeable maintenance practices. Professional snow removal services treat the aesthetic values of your property, as well as improving safety and condition. In a cold-weather climate like Ontario’s, ice is a very real challenge for property owners. As temperatures shift from frigid to tolerable and then back again, ice begins to take over sensitive areas of properties. Ice might be easy to spot, or slick and difficult to identify, but in either case, our Gorillas can treat it for you. Managing a proper Edmonton salting involved not only initial treatment but checking to ensure that areas are safe and passable before considering a job to be done all winter long.